Over forty 3rd, 4th, and 5th grade students participated in the service-learning project POP Art "Painting With Older People". Using the lesson Building Sensitivity and Awareness, students were introduced to the effects of aging and what happens when you begin to age including physical characteristics like muscle loss or difficulty walking, or other characteristics like the loss of motivation, difficulty writing, and the need support for daily functioning. 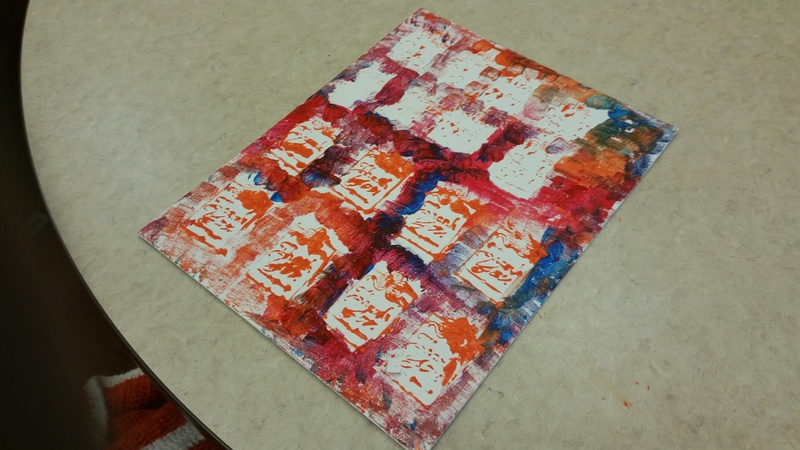 This information set the tone of the project's importance and how the students would be paired with a senior friend to help complete a painting when visiting the Mount St. Joseph Rehabilitation Center. Dr. Ray scheduled 1-hour time slots at the Mount St. Joseph Center where over 30 residents participated in a painting activity with the students. The students helped and assisted the residents in creating a painting to keep in their room to show their family and friends. Leadership was displayed through the students’ willingness to be a responsible teacher to their senior friend. “Each student was eagerly awaiting to show off their talents in serving others,” said Dr. Ray. The Learning to Give mini-grant helped provide the canvas boards, paints and brushes to use with residents at the Rehabilitation Center. This helped to facilitate a successful outing each time the students visited them and they were able to create more art work for their senior friends to treasure and keep. A social emotional impact occurred as students were unaware of the aging process that will occur in life and eventually to them until actually participating in a project of this nature for the first time. It gave students the role of responsibility of the supplies, which included cleaning up their senior friend and cleaning up the area where they painted each time we visited the rehabilitation center. 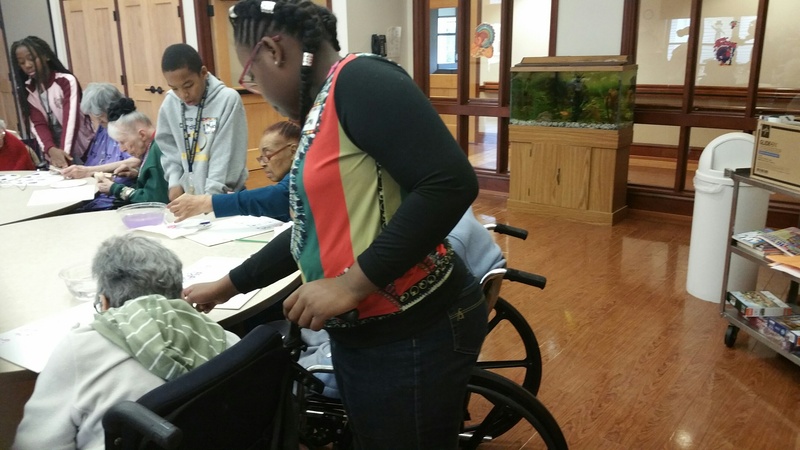 The students were able to create intergenerational relationships and share their talents with members of the community. In the future, the school will continue to seek funding to incorporate the program yearly at more, and the same facility.